Over the last fortnight, The Great Circle has wrapped itself around Midnight Oil’s homeland. Seven unique shows have taken the band from Coffs Harbour near Australia’s easternmost point to Perth in the continent’s far west and then back down to Hobart at the southern end of Tasmania. Along the way they played their biggest headlining show of 2017 so far (over 20,000 people at Hope Estate). They did an intimate ‘Sunday sessions’ benefit gig for Ocean charities in Fremantle where they played 10,9,8,7,6,5,4,3,2,1 in its entirety. They busted out two surprise ‘in memoriam’ covers – “Sorry” (in Canberra for Ozrock legend George Young) and “Blueberry Hill” (in Adelaide for Fats Domino). 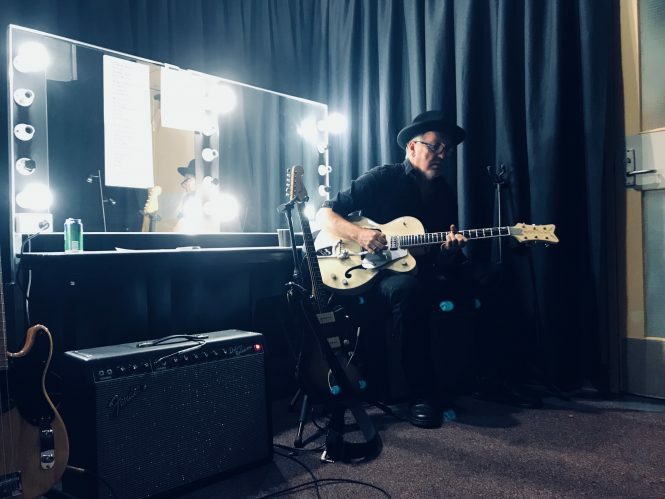 Two gigs – Perth and Coffs – were momentarily halted while Pete evicted some troublemakers from the moshpit to the cheers of all around them. And the band kept up the 2017 setlist surprises when they treated Tasmania to the first live performance of “Who Can Stand In TheWay” in 30 years plus, aptly enough, a cracking tour premiere of “Burnie”. The critics have been very kind and feathers continue to be ruffled in all the right places. See below for a small taste of what’s been happening as Midnight Oil now turn into the home stretch of an extraordinary year.